About: This elegant and historic Victorian house is set in a most tranquil area of outstanding natural beauty within the Dartmoor National Park. Sited on a gentle southwest-facing hillside, which falls to the River Avon as it flows through the wooded valley below, the house enjoys an extensive view towards the Moor. Rumoured to have once been the home of an alleged illegitimate relative of Queen Victoria the house and apartments generate their own ambience of warm welcome and comfort for those seeking a restful family holiday or wishing to celebrate a special occasion. The valley is noted for the purity of its air as many of the trees in this area attract a lichen, which is unique in that it can only grow and survive in the most favourable clean atmosphere that is free of pollutants. The apartments are situated in a wing of the house, these are completely self contained units arranged around an inner courtyard. 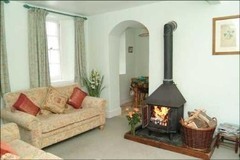 They are decorated to reflect the subtle colours of Devon to create a welcoming and comfortable feeling throughout. In this quiet rural retreat far from the hustle of present day suburban life it is possible to enjoy a truly restful holiday without using your car. There are also many local attractions and places of interest to visit within reasonable traveling distance. 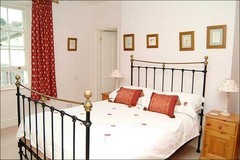 The apartments offer the opportunity to relax in the friendly atmosphere created by the owners Sue and Steve Robinson who are willing to assist in making your visit to Didworthy House a memorable experience. In addition, residents have the use of the private heated swimming pool at specified times.The terraces have been landscaped to provide pleasant areas where you can relax and enjoy the beauty of the Moor. 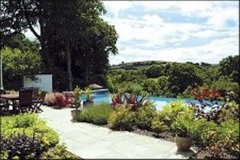 Products or Services: Luxury Self Catering Country House Apartments offering Holidays, Short Breaks and Special Offers. 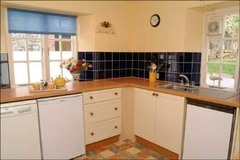 Facilities Include: a spacious lounge with wood burning stove and colour television, video recorder, DVD player (selection of videos and DVDs available),stereo system, fitted kitchen includes dishwasher and freezer, Washer/Dryer, Garden/patio for guests' use - BBQ's available, Launderette, Linen provided, Public telephone, Heated swimming pool. Testimonials: "Finding Didworthy House with its friendly owners and superb accommodation has greatly enhanced our enjoyment of beautiful South Devon. Best of luck for the future! " "Warm welcome, Peaceful setting, Marvellous facilities, Charming hosts, need we say more! " "Thank you for your friendly welcome and attention to detail. We were delighted to relax in the conservatory as well as "chilling out." Lovely family time in cosy comfortable and attractive apartment. From the moment we saw the flowers and scones we knew we'd be fine." "A wonderful location away from the rush of modern Britain. Lovely countryside and clean air. Absolutely idyllic"